The last 10 years have seen enormous progress in both the understanding of cancer as a disease, as well as the development of targeted therapies, with an unprecedented number of new drugs approved for cancer treatment by the FDA and EMA. The availability of a large set of targeted therapies has created the need for efficient molecular profiling of patients. 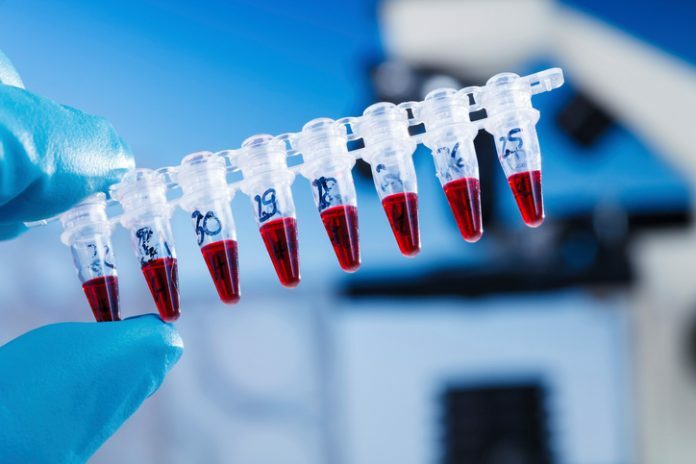 A decade ago, the term “liquid biopsy” was coined to describe diagnostic procedures carried out to detect molecular biomarkers found in the blood or in other bodily fluids (e.g., urine or cerebrospinal fluid) of patients. Blood, and potentially any other bodily fluid, contains cancer-derived elements that allow the molecular characterization of the disease, contributing to early diagnosis, accurate prognosis, personalized therapeutics, and disease monitoring. Materials derived from tumors include circulating tumor cells (CTCs), circulating tumor DNA (ctDNA), as well as RNA, protein markers, and extracellular vesicles, such as exosomes. When a tumor cell dies, it releases DNA molecules from its fragmented genome into the bloodstream. These nucleic acids in the blood can be purified and analysed using PCR-based methods, next generation sequencing (NGS), or array technologies. Data generated from analysing liquid biopsies have shown the enormous potential in this approach that could have a revolutionary impact on clinical practice. During the last few years, several studies have shown that key cancer mutations can be detected in liquid biopsies, mirroring those detected in traditional tumor biopsies. Liquid biopsies may be even superior to standard tissue biopsies, as all parts of a tumor and all metastases are potentially sampled. Recent data indicate that, in most cases, analysis of circulating tumor DNA is faithfully reflecting mutations found in all known metastases of a cancer, or is even superior to such an approach (e.g., detecting mutations if standard biopsies fail, or showing more mutations than the standard tissue biopsies), suggesting that sequencing circulating tumor DNA can give a much more complete molecular picture of the systemic cancer disease than standard biopsies. Moreover, access to the blood of a patient is unproblematic, since the procedure presents minimal risk and sample collection is low cost. Serial liquid biopsies could be easily taken to monitor cancer therapy effects, or to screen for reoccurrence of cancer, as long as the volume of blood needed for the respective analysis is small (i.e., a few mL). Sensitivity of the method may be superior for detecting cancer at a very early stage, such as in cases of reoccurrence of cancer after curative surgery, or in a population-based screening program. If liquid biopsies can improve early detection of tumors in preventive screening programs, this will contribute to higher survival rates, especially for tumor types where means of early detection and preventive screenings are otherwise limited or non-existent. On the other hand, several studies of liquid biopsy approaches in cancer patients have revealed that the success rate of this approach is related to the tumor mass burden as well as the tumor stage of a patient at the time of liquid biopsy. The approach has been shown to be minimally successful in instances when tumor mass is low, due to the limited number of tumor cells dying and thereby releasing DNA into the blood. Furthermore, it appears that tumor types behave differently, with some tumors, such as colon carcinoma, shedding DNA more abundantly in the blood stream compared to, for instance, glioblastoma. The success rate of liquid biopsy is therefore tumor type, stage, and mass dependent. Techniques and methodologies for cell-free DNA analysis can be broadly divided into targeted and untargeted approaches. Targeted approaches examine specific and pre-known genetic alterations, while untargeted approaches do not require prior knowledge, and allow for the discovery of novel disease genetic markers. Therefore, untargeted approaches may have more utility for early detection of cancer with high sensitivity, but also for serial analyses of the changing clonal landscape of a tumor after treatment. One of the main limitations that affect both targeted and untargeted techniques is the limited amount of cell-free DNA that is obtained from liquid biopsies. This is even more relevant in cases where cell-free DNA is analysed by whole exome or whole genome sequencing, as opposed to more sensitive PCR-based targeted approaches such as BEAMing. For example, standard library prep systems for whole-exome sequencing require cell-free DNA in volumes of around 100 ng, although exome sequencing has been performed with more specialized approaches from only a few nanograms. Targeted-sequencing approaches require lower but still significant cell-free DNA volumes to prepare the library (e.g., between 10 to 40 ng of cell-free DNA in the case of QIAseq panels for Illumina sequencers). Therefore, having an adequate amount of cell-free DNA for sequencing purposes can be challenging, and remains as a substantial hurdle that needs to be overcome. A second issue diminishing the detection capabilities of liquid biopsy approaches is the contamination of tumor cell-derived DNA, with DNA coming from unrelated processes naturally occurring in the body. Cell-free DNA present in the blood plasma or other bodily fluids (CSF, urine, ascites) can be broadly divided into three categories. First, there are the smaller size fragments (160-170 and multiples thereof) that originate from apoptotic breakdown of genomic DNA between nucleosomes inside a cell. Then, there are the larger size fragments that originate mainly from necrotic cell death (necrosis). Finally, one also has DNA from exosome shedding, and a few other less well understood processes. DNA fragments of apoptotic origin can also be detected in healthy people, and may increase naturally, for instance following sports activity or due to a cold. However, the larger size fragments do not normally occur in healthy people, and thus appear to be the more diagnostically relevant species in the oncology field, for example, as the proportion of larger DNA fragments increases significantly with progressing tumor stage, underscoring this view. Other clinical applications that look particularly promising for the liquid biopsy approach are the diagnosis of chromosomal abnormalities in the fetus (in particular, trisomy) by analysing the blood from the mother (also called noninvasive prenatal testing or NIPT; based on cell-free DNA), and the diagnosis and monitoring of graft rejection in transplantation patients (DNA from donor tissue attacked by immune cells of the host can be detected in the blood of the patient). As recently pointed out by ASCO and the College of American Pathologists, new research studies and technology developments are required to fully demonstrate the analytical and clinical validity as well as the clinical utility of liquid biopsies*, in order to implement liquid biopsies as part of the future precision medicine. However, once the limitations within this field are overcome, there is great potential for new technologies to have a profound impact on early-stage diagnosis within oncology. Already the liquid biopsy market is expected to reach $2,047.9M by 2022, growing at a CAGR of 23.4%, with kits and consumables leading the sub-segment to the global value of this market. Angel Picher, Ph.D., is the director of genomics research at Expedeon. *Analytical validity refers to the ability of a test to accurately and reliably detect the variant(s) of interest and includes measures of accuracy, sensitivity, specificity, and robustness. Clinical validity implies that the test may accurately detect the presence or absence of a pathologic state or predict outcomes for groups of patients whose test results differ. Clinical utility is documented when high levels of evidence exist to demonstrate that the use of the test improves patient outcomes compared with not using it.